In 1985 Samuel Beckett directed "Waiting for Godot", "Krapp's Last Tape" and "Endgame" as stage pieces with the San Quentin Players. All three productions were grouped together under the overall title "Beckett Directs Beckett." As such they toured throughout Europe and in some parts of Asia to wide acclaim. Furthermore, each time a new tour was organized for these productions, after sometimes lengthy lacunae, Beckett has, with the assistance of Walter Asmus, and/or Alan Mandell, brought them back to performance level. Though the initial productions as staged in 1985 already brought forth substantial changes in the published acting texts of the plays, each time a re-mounting of the productions occurred additional changes were made. 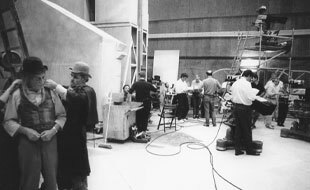 The same was true during the production period for these television versions, with Beckett sometimes making textual changes on the telephone even as a given scene was being taped. For these productions, it was our intention and design to open them out beyond the confines of the stage in order to accommodate them to the television medium. Walter Asmus and Alan Mandell, both of whom enjoyed the author's complete confidence, were responsible for this part of the endeavor. The producers have a contractual obligation to Mr. Beckett that no changes be made in the original Beckett productions. However, as someone who has done a good deal of work on television (unfortunately not well known in the US), Beckett realizes the constraints and demands of that medium, and the many significant differences between television and the stage. In mounting the television versions of these productions, therefore, we worked intimately with Beckett on these questions as they arose. Furthermore, Beckett asked that the taping take place in Paris so that, as he said, he could keep an eye on things. In short, Beckett's was the creative vision which moved the whole enterprise. 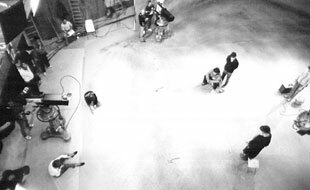 Walter Asmus and Alan Mandell, the nominal television directors for the series, were perfectly content to act as the guarantors for Beckett's directorial vision. Nothing here should be taken to suggest that we lay claim to the only possible interpretations of these plays, that Beckett's is the last word on the subject. 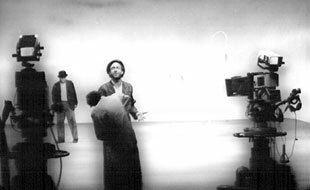 On the contrary: we sought, and believe we have succeeded, in establishing not only the last versions of the texts which Beckett revised prior to his death, but also provided bench-marks, points of departure from which present and future theater and television and film artists can explore other interpretations. The programs were aired by PBS in the US and have been seen in many other countries throughout the world. "Waiting for Godot" and "Krapp's Last Tape" will be made available in a digitally annotated edition on DVD. Information concerning release date and availability will be posted on this site.